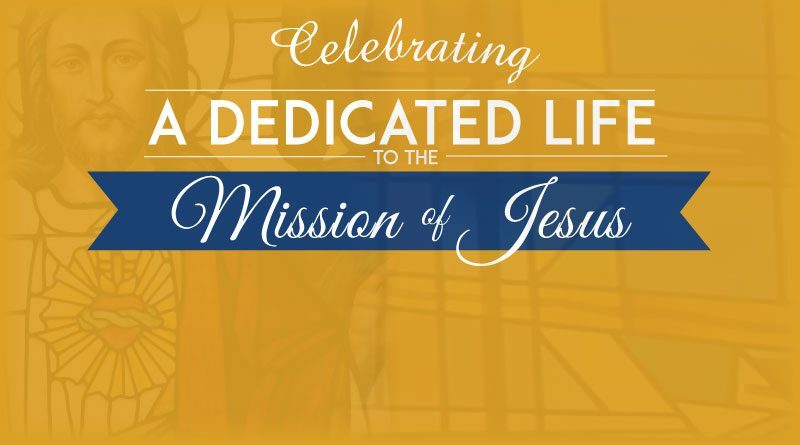 This week The Witness is highlighting three priests who are celebrating the 60th anniversary of their ordinations on Feb. 2. Msgr. John R. McClean, who retired in 2002, was born May 13, 1932, in Bernard to Vincent and Lorraine (Barrett) McClean. He graduated from Loras College in Dubuque and completed his theological studies at Mount St. Bernard Seminary, also in Dubuque. Msgr. McClean has master’s degrees from Loras College and Iowa State University in Ames. He was ordained on Feb. 2, 1957, at St. Raphael Cathedral in Dubuque by Archbishop Leo Binz. He served as associate pastor of St. Joseph Parish in New Hampton, 1957-60, and St. Anthony Parish in Dubuque, 1960-65. He taught at Wahlert High School in Dubuque, 1965-68. He served as principal of Notre Dame High School in Cresco and as executive coordinator and administrator of St. Agnes Parish in Plymouth Rock, 1968-70. He was executive coordinator and principal of Newman High School in Mason City, 1970-78, and was part of the team ministry in Mason City and Plymouth, 1972-78. He served as pastor of Sacred Heart Parish in Waterloo, 1978-85, and St. Joseph Parish in Marion, 1985-97. He was executive coordinator of Regis High School in Cedar Rapids, 1989-91. 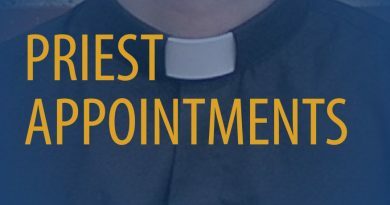 He was pastor of St. Isidore Parish in Springville, 1993-97, and of St. Mary Parish in Guttenberg and Immaculate Conception Parish in North Buena Vista from 1997 until his retirement in 2002. He served as archdiocesan consultor, 1981-83 and 1984-94, and as state chaplain of the Catholic Order of Foresters from 1981-87. He was appointed to the Priests’ Council, 1984-86. He was named a prelate of honor (monsignor) in 1987. He served on the U.S. Catholic Bishops’ National Advisory Council, 1987-91. In retirement, Msgr. McClean traveled and preached for 10 years for the Christian Foundation for Children and Aging. He also served as director of the Pontifical Missions/Mission Awareness Office from 2005-13. He lives at Villa Raphael in Dubuque. 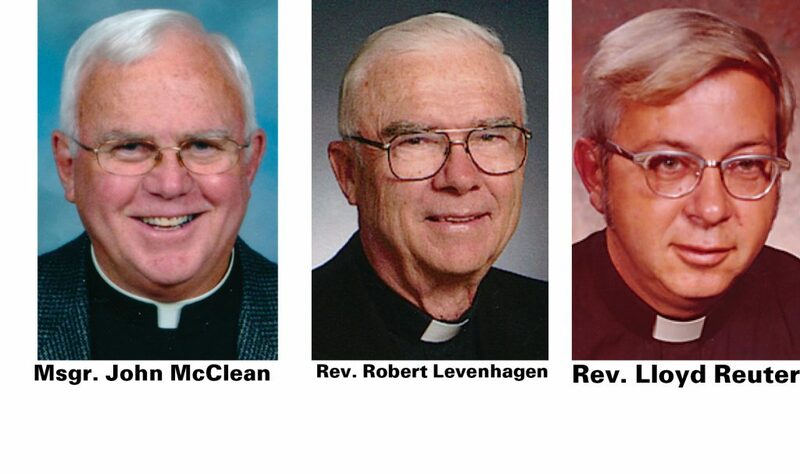 Father Robert J. Levenhagen, who retired in 2000, was born March 16, 1929, in Monona to Paul and Julia (Scannell) Levenhagen. He graduated from Loras College in Dubuque and completed his theological studies at Mount St. Bernard Seminary, also in Dubuque. He was ordained on Feb. 2, 1957, at St. Raphael Cathedral in Dubuque by Archbishop Leo Binz. He served as associate pastor of St. Martin Parish in Cascade, 1957-62, and as associate pastor of St. Joseph Parish in New Albin and as faculty member of St. George High School in Lansing, 1962-67. He was associate pastor of St. Francis de Sales Parish and principal of De Sales Central High School, both in Ossian, 1967-69. He was pastor of St. Francis Parish in Balltown and a faculty member of Leo High School in Holy Cross, 1969-71. He served as chaplain to the Christian Brothers community at Beckman High School in Dyersville, 1971-72, while he was on the faculty there. He was at Beckman High School for five years. 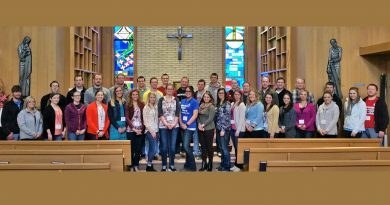 During Lent one of those years, Father Levenhagen also taught religious education to 200 area adults. He was principal of Leo High School in Holy Cross, 1972-75. He was pastor of St. Ann-St. Joseph Parish in Harpers Ferry and Immaculate Conception Parish in Wexford, 1975-80; St. Anthony Parish in Dubuque, 1980-87; St. John the Baptist Parish in Peosta and Annunciation Parish in Lattnerville, 1987-90; Holy Family Parish in New Melleray, 1989-90; St. Pius Parish in Cherry Mound, 1990-99; and St. Mary Parish in McGregor from 1990 until his retirement in 2000. He now lives at Villa Raphael, Dubuque. Rev. Lloyd E. Reuter, who retired in 1999, was born March 14, 1929, to William and Barbara (Pint) Reuter of Raymond. He graduated from Loras College and took his theological training at Mount St. Bernard Seminary, Dubuque and was ordained in 1957. His first assignment was as associate at Sacred Heart, Osage, where he served until being appointed to Immaculate Con­ception, Charles City in 1966. In 1968 he was appointed executive coordinator of St. Joseph High School, Farley. During this time he also served as administrator of St. Clement’s, Bankston. In 1974 he was named to the faculty of Don Bosco High School, Gilbertville. In 1979 he was named state chaplain for the Catholic Order of Foresters. 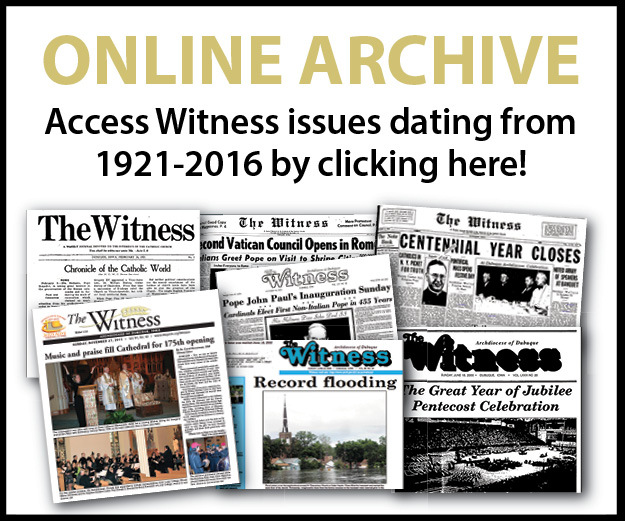 He was appointed pastor of St. Joseph’s, Cresco in 1982, adding Holy Cross in Schley in 1984. From 1985-86 he served as dean of the Cresco Deanery and in 1987, was appointed pastor of St. Joseph’s, Bellevue. From 1993 until retirement he served as pastor of Sacred Heart, LaPorte City. In 1996, he was also appointed pastor at St. Mary of Mt. Carmel, Eagle Center, and Immaculate Conception, Blessing until his retirement in 1999. Father Reuter resides in Gilbertville. A celebration of his anniversary will be held at the 8 a.m. Mass June 11 at Immaculate Conception Parish in Gilbertville. A breakfast will follow the Mass.